By inspired from my recent post for Basic Registration form in PHP with MySQL database connectivity, Again I am connecting the node of basic functionality behind Registration process. 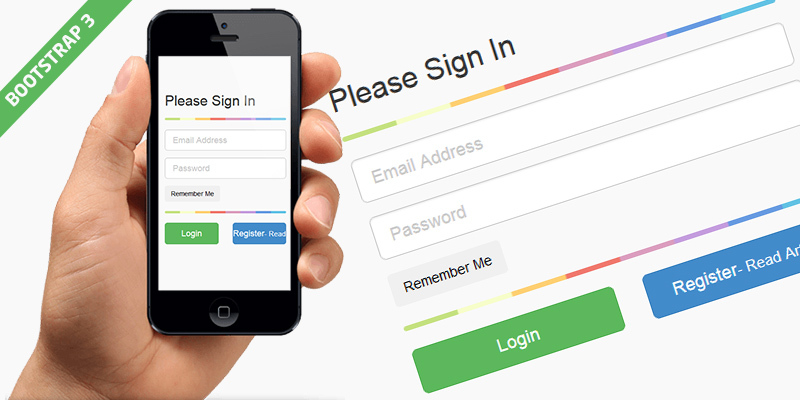 If a user gets registered on your site you also have to have a functionality of Login/Sign in. Hope this article meets your requirements of Login functionality. The finest feature in this login form are; its Responsive and made with Bootstrap 3.0.2 framework, it’s very easy to understandable for a beginner, its ready to use code just Get the Code Snippets download here and implement in your system. We also want to show you the test/demo HTML page for just your responsive test. $password="daknet";       //blank if no password is set for mysql. //if submit is not blanked i.e. it is clicked. if (isset($_REQUEST['Submit'])) //here give the name of your button on which you would like    //to perform action. // here check the submitted text box for null value by giving there name. //here you can redirect on your file which you want to show after login just change filename ,give it to your filename. //OR just simply print a message. Next: How to make your eCommerce Store Most Popular? Nice post. I was checking continuously this weblog and I am impressed! Very helpful info specifically the final phase 🙂 I take care of such information much. I used to be seeking this particular info for a long time. Thanks and best of luck. There’s definately a lot to find out about this subject. I love all the points you made. just a quick question, how do you make your sites pages check that you have logged in ie stop someone bypassing the login page just by knowing the the path of the pages on your site?